Fiction Collective 2, 9781573660518, 256pp. When Lucy is little something happens to her brother. He disappears for months and when he returns he’s not the same. He’s not her brother. At least this is what Lucy believes. But what actually happened? 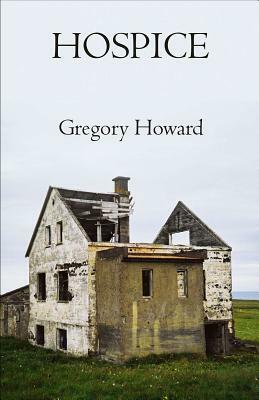 Comic, melancholy, haunted, and endlessly inventive, Gregory Howard’s debut novel Hospice follows Lucy later in life as she drifts from job to job caring for dogs, children, and older women—all the while trying to escape the questions of her past only to find herself confronting them again and again. In the odd and lovely but also frightening life of Lucy, everyday neighborhoods become wonderlands where ordinary houses reveal strange inmates living together in monastic seclusion, wayward children resort to blackmail to get what they want, and hospitals seem to appear and disappear to avoid being found. Replete with the sense that something strange is about to happen at any moment, Hospice blurs the borders between the mundane and miraculous, evoking the intensity of the secret world of childhood and distressing and absurd search for a place to call home. Gregory Howard teaches fiction writing, contemporary literature, and film studies at the University of Maine. His work has appeared in Web Conjunctions, Harp & Altar, and Tarpaulin Sky, among other journals. He lives in Bangor, Maine.